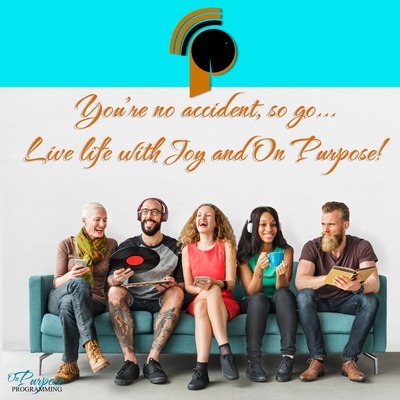 “On Purpose” is the program where we tackle tough issues from a Christian perspective. Life is sometimes difficult and sometimes messy, but life is no accident. We’re all here for a reason, so today, let’s live life with joy and On Purpose. Do you wish you had a greater faith or do you think there's no value in having faith? In this PeliCast, Jamie and Nicola discuss what it means to have faith and how we can nurture belief in the unseen...and find comfort and joy in it. Join us for this unscripted chat about what it means to be hopeful and the ways in which we can live life with joy and on purpose. Are you harbouring resentment towards someone who hurt you? Do you need to receive forgiveness from someone else? In this PeliCast, Jamie and Nicola discuss what it means to forgive. Is forgiveness an emotion or feeling, or is it a conscious decision? Are we obligated to forgive others? Join us for this unscripted chat about what it means to be forgiving and the ways in which we can live life with joy and on purpose. Does doubt or fear stop you from being happy and hopeful? Can we find hope even when everything seems hopeless? In this PeliCast, Jamie and Nicola discuss what it means to have hope even when all around us seems hopeless. Is hope an emotion or feeling, or is it a conscious decision? Join us for this unscripted chat about what it means to be hopeful and the ways in which we can live life with joy and on purpose. What happens when everything goes wrong? When you feel alone in the world or when you feel a lack of support from family and friends? In this PeliCast, Jamie and Nicola discuss how do deal with feelings of abandonment, especially when it feels as though God has also abandoned you. Join us for this unscripted chat about loneliness and abandonment and the ways in which we can live life with joy and on purpose. What happens when you're the object of gossip and lies? How can you overcome this obstacle. Do you have a nasty habit of gossiping or listening to gossip? What does the Bible say about it? In this PeliCast, Jamie and Nicola discuss the dangers of gossiping, the tribulations of being lied about and how to overcome them, and the practical ways to break the habit of gossiping and how to make amends to those you may have harmed. Join us for this unscripted chat about gossip, lies and innuendo and the ways in which we can live life with joy and on purpose.